Thermal Club Raceway Long is a racing venue in United States with 53 laptimes.This page represents the 4.8 kilometer (3.0 mile) configuration of this track. 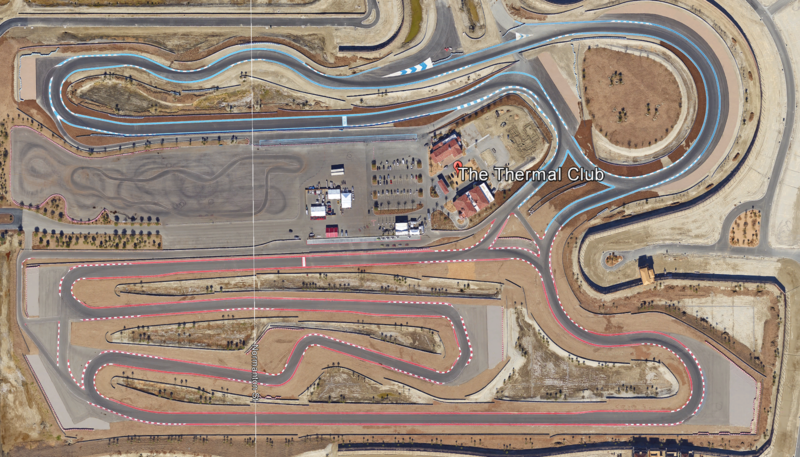 Thermal Club Raceway Long is a relatively slow track, with overall average speed of 121 kph (75 mph). @fastestLaps - are we adding these times or what? @Saxy, @Lafars, @FastestLaps, @BR2+ - This just gets funnier and funnier. Why does the counter jump from .25 to the next second every time in the Salomondrin video? P1 enters Porsche driver VIP mode at 8:04 in video. Solomondrin LOL. Sorry, i couldn't find a better picture or any further info about the layout and lenght. Can anyone point me to where I can find the layout of this track and the exact length?